Tune in Saturday at 11am on 106.3FM for your chance to win OPENING DAY Braves Tickets! Cleve Gaddis will also be giving a 2019 Real Estate Market Forecast, chat with Kathy Deason from Old Republic Home Warranty, and give a neighborhood report for Thornberry located in Alpharetta, GA. YOU DO NOT WANT TO MISS THIS SHOW! Coach Cleve and Alfie take a look at credit inquiries and how they affect your credit score, Justice French from Rainbow Village joins to talk about the ir work with the Atlanta Homeless Community and how Amazon’s bailing out of Long Island City could affect the metro Atlanta real estate market if they relocate HQ2 here. 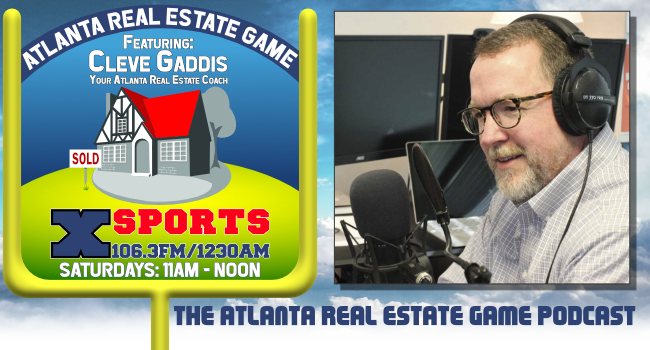 Today on “The Atlanta Real Estate Game,” Cleve and Alfie discuss “fake proof of funds,” Abby Wexler from Children’s Miracle Network stops in to bring the guys up to speed with the latest from that great charity, and “Non-judicial Foreclosure” and whether it’s good for GA or not!